Within each of these areas, the strategy lays out a plan for action to take place over the next three years, and includes such things as improving education for both home caregivers and professionals, developing an integrated approach to dementia care across health care disciplines and strengthening early diagnosis. We had a busy week in Ontario at the beginning of June, exhibiting at both the Caregiver Show for home caregivers and the Therapeutic Recreation Ontario conference for professionals. We met a lot of interesting people, gave out lots of free activities and hopefully helped people with some of their questions about dementia care. Our products were very well received - in fact, the most common thing we heard was "Why haven't we heard of you before?" Well, now you have, and you'll be hearing more from us in the future. Fall may seem a long way off, and we certainly don't want to rush it, but it is time to start planning. 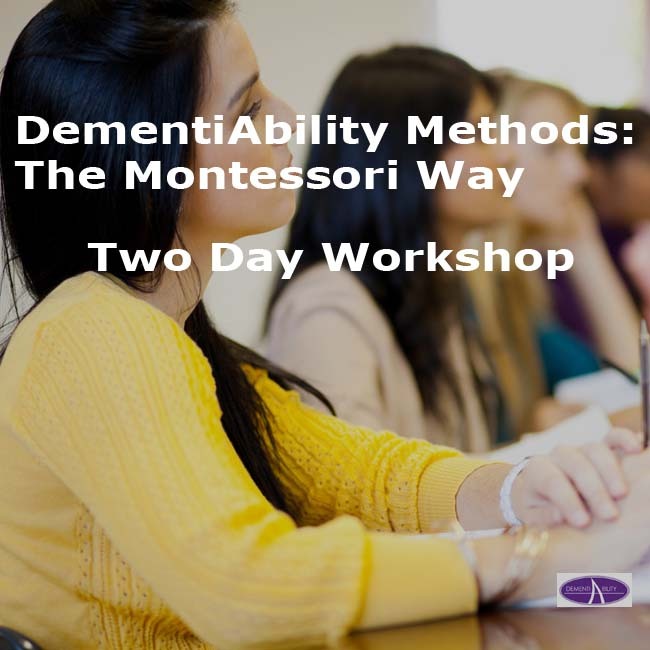 We have scheduled two DementiAbility Methods: The Montessori Way workshops - one in Halifax on September 22/23 and one in Charlottetown on October 6/7. It's not too early to register. Find more information and registration forms on our website. We post the latest news and information about what's new in dementia care, new studies and research. We like to keep up to date and so can you - just "like" us on Facebook and you'll have access to what we find. 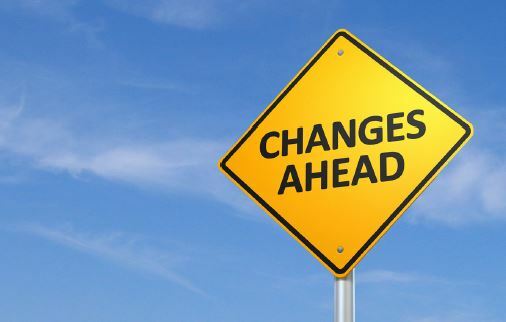 Speaking of the future, we'll once again be participating in the Alzheimer Society of Nova Scotia's annual conference, which this year is about "Shifting Focus in Dementia Care". Donna will be presenting a talk entitled "Excellent Care Evolved by Focusing on One Interaction at a Time" where she will describe the successes achieved by maximizing the therapeutic benefit of every interaction. We will also have our products on display. The conference is at the Holiday Inn Harbourview in Dartmouth on October 19 and 20. The Dementia Friends Canada program is a joint initiative between the Alzheimer Society of Canada and the federal government. It is part of an international movement to raise public awareness about dementia. The idea is to become a "friend", learn more about living with dementia and then turn that knowledge into simple actions that can help. Simple things such as checking in with someone with dementia, volunteering, sharing information about dementia. Small things that can make a difference. 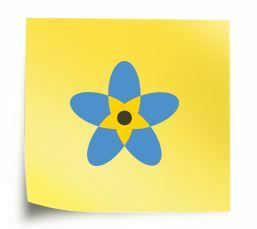 Are you a Dementia Friend? 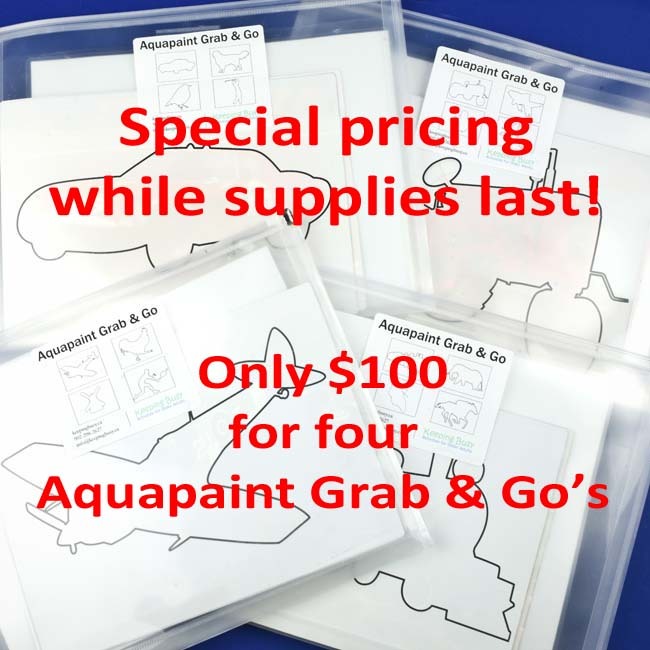 We have a few bundles of our original Aquapaint Grab & Go's still available, and we're selling them at a special price. Instead of the original price of $120, we're offering the bundle of four Grab & Go's (16 Aquapaint sheets in total) for only $100. There's only a few left, and when they're gone, they're gone. Here's a great summer word search with "camping" as the theme, and even a BEAR hidden inside. Two levels are provided - as always, start with the easier one and only move to the more difficult after achieving success. In keeping with the camping theme, here's a bonus bear template for your Tangram activity. Start with the template with the lines, then switch to the blank template, drawing in lines as necessary. If you don't have a Tangram, you can find them here. Click here to forward this e-mail to any interested friends or colleagues. Copyright © 2015 Keeping Busy Inc., All rights reserved.